Since I recently turned 23 and I’m out of college, I figured it’s time for me to start getting a little sophisticated. I mean, as classy as I look chugging vodka red bulls from two mini straws as I spill it on myself on the way to the back bar, I need to switch my game up. Raise the bar, if you will. The only problem; is I’d rather drink ‘Rose Blush’ franzia than ever stick my nose in a deep glass of red wine. I’ve always hated everything about red wine. It’s bitter, and gives me an olive-aftertaste I’d rather pass on. I blatantly do not enjoy drinking it. But, you know what? It’s time to wean myself out of that immature mind set. 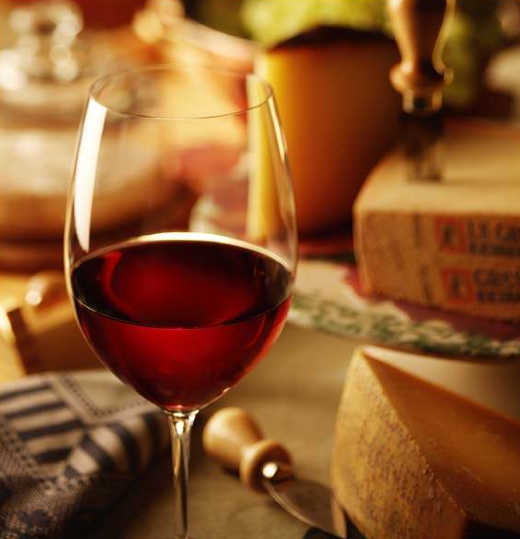 Brittany, it’s time to drink, enjoy, and rejoice over an artsy glass of red vino! I decided the only way to bump pass these feat was to LEARN how to drink red wine properly. Maybe, all along, I had been ruining my classy experience. Did I have the wine in the right glass? Could you drink it straight from the bottle and still enjoy it? What if you mix sprite and ice cubes with a glass; does that make it better? Do I need to squeeze my eyes shut and plug my nose whenever I take a sip? No. Good lord, it’s time to understand how to drink wine properly, and learn to enjoy something worth enjoying! Here we go recent grads, confused white-wine-drinking patrons. Put away that box of Franzia, and grab your bottle opener. It’s time to crack a bottle of Merlot. When you open the bottle of wine, give it a chance to breath. When you pour the goods into your glass, let it breath some more. This gives the wine to get comfortable and let it’s tastiest character come out. By the way, make sure you’ve poured it into the right glass. Red wine glasses should be shorter and wider than those glasses you’re housing for your Penguin Riesling. You want that red wine coming into contact with as much air as possible. What are legs? Rihanna has a nice set of them, but these are different. Legs are the droppings of the wine along the glass when you swirl it. It you have a lot of legs on the wine, that is a good indicator that the wine is delish. It’s a simple math, the more legs – the better the taste! This isn’t a beer bong. Relax, take small decadent sips, let the wine seep into your nose, bask in it, become part of it. News flash for most college kids; you can actually enjoy wine. Treat it like a slab of cheesecake. The last slab on the planet. Before you take a sip, let the wine aroma float into your nostrils. The goodness should be fulfilling all of your senses. Let the aroma get into your mouth even before the actual wine. Give it an experience. And there you go kiddies! I’m going to take this post to heart and TRY to enjoy a glass of red wine sometime in my near future. Until then, stay classy! ‘Legs’ on a wine aren’t actually indicative of anything other than alcohol content. For some people, alcohol content may directly correlate to how the wine tastes to them, but what they’re likely finding is the difference in Old World (Euoropean) wines and New World (everywhere else) wines. Old World wines are, generally speaking, lower in alcohol content due to the cooler climates in which the grapes are grown, and as a result they deliver “earthier” aromas and flavors than their fruit-forward New World counterparts grown in warmer climates which ripen much more intensely. The more a grape ripens, the higher its sugar level will be, and a higher sugar level results in a higher alcohol content. There are exceptions, of course, but if you stick your nose into a glass of red wine and smell earth, soil, granite, or even poop before you smell fruit, chances are good that it’s an Old World wine with a lower alcohol content (the ‘legs’ of which will manifest as skinnier). Whether the drinker will deem it more delicious than a New World wine is ultimately a matter of personal preference; not everyone will enjoy the lead pencil characteristics often associated with a classic Bordeaux blend. Man, I absolutely love the way you describe the experience of drinking red wine. This is an extraordinary article. I intend on drinking a glass of red wine very shortly as I try to focus on watching the “legs” while thinking of Rihanna and dreaming of cheesecake. Thank you.